28.09.16 – Picture shows Bunch of Grapes, a pub in Pontypridd, South Wales. The Bunch of Grapes Sunday roast dinner has been voted the best in the UK. The hunt for the Best British Roast Dinner is back again in 2017, as judges look to find the pub which serves Britain’s best roast and make it famous the country over. 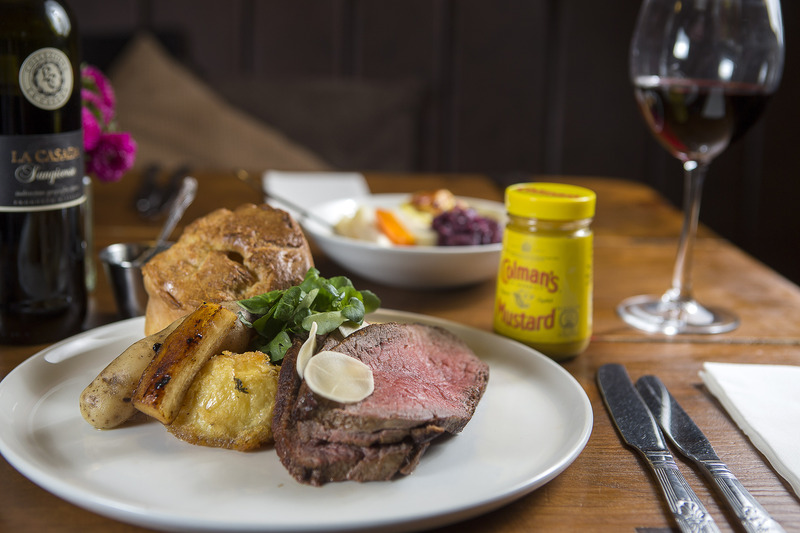 As well as crowning an overall winner, the panel will once again announce regional winners for South England, North England, Midlands, Wales and Scotland – giving even more pubs the opportunity to become famous for their roasts. 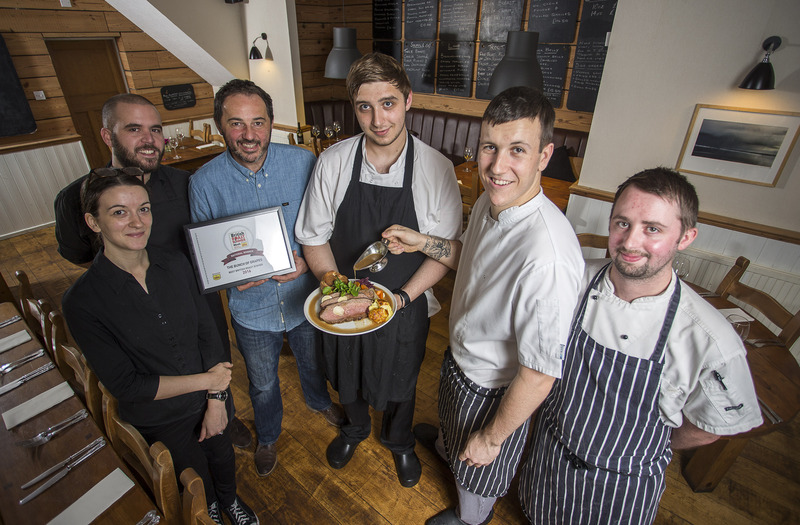 The 2016 regional winner for Wales and overall winner of Best British Roast Dinner 2016 was the Bunch of Grapes in Pontypridd. Each of the 2017 regional winners will receive £2,500 of PR, with the exception of the national winner who will win £10,000 of PR support and the prestigious title of Best British Roast Dinner – a real bookings booster. 28.09.16 – Picture shows the team Natalie Phillips, Manager Gareth Hutt, Owner Nick Otley, Head Chef Tom Munton, Sous chef Rhys Coburn and Matthew Traylor at the Bunch of Grapes, a pub in Pontypridd, South Wales. The Bunch of Grapes Sunday roast dinner has been voted the best in the UK. Now in its sixth year, the Best British Roast Dinner competition is part of British Roast Dinner Week. The campaign – sponsored by Unilever Food Solutions – inspires pubs to serve the UK’s favourite pub meal every day of the week. Every pub that enters will get a free tub of KNORR gravy. To find out how British Roast Dinner Week brought in the bookings last year, take a look at the video at britishroastdinnerweek.co.uk. British Roast Dinner Week 2017 is from 24 September to 1 October and the competition is now open. To enter, all pubs have to do is fill in a short entry form explaining what makes their roast special at www.britishroastdinnerweek.co.uk before 1 October 2017.